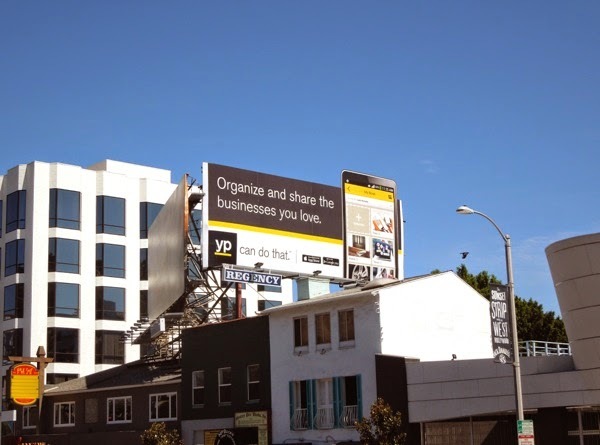 In recent years there have been lots of familiar brands and companies that have refused or been unable to move with the rapidly changing times, for example Blockbuster and Kodak spring to mind, making them dinosaurs, and like those prehistoric behemoths they have pretty much become extinct. 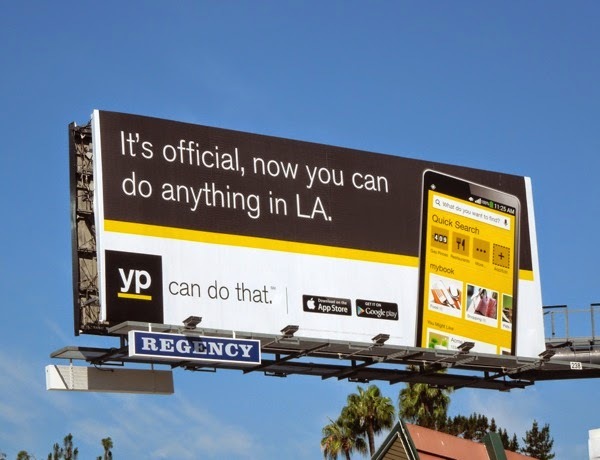 One iconic brand which seems to be trying to find its place in this brave new technological world is Yellow Pages. 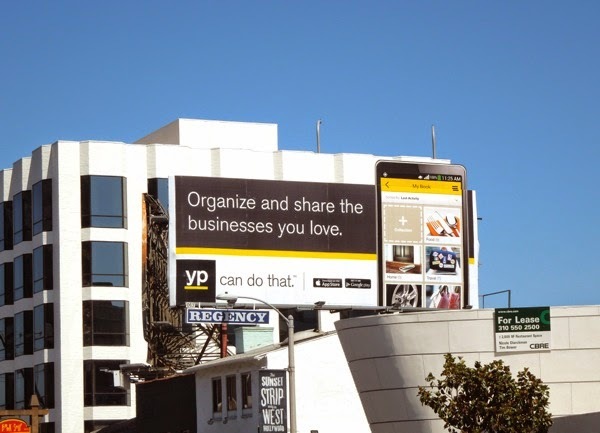 The massive yellow paper phonebook with listings of useful businesses in many categories was once an invaluable resource to the public, but nowadays the weighty free directory now seems wasteful and environmentally-unfriendly, and is quickly becoming a relic of the past. 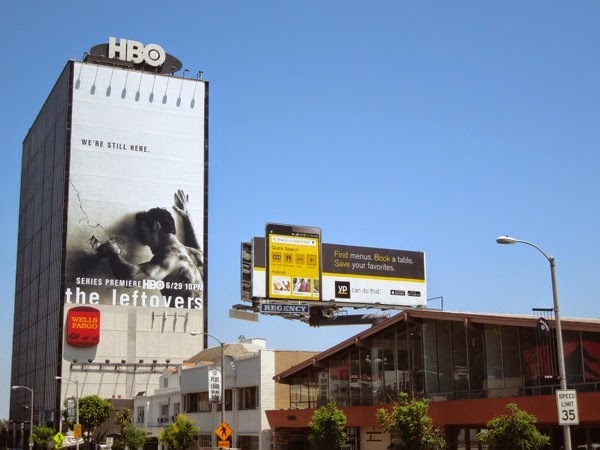 The infamous 'Walking Fingers' logo seems no longer relevant in a world of internet search engines, websites and apps where you can literally find what you want, where you want, at the touch of a button, rather than a flick of a page, in an increasingly competitive market of information providers. 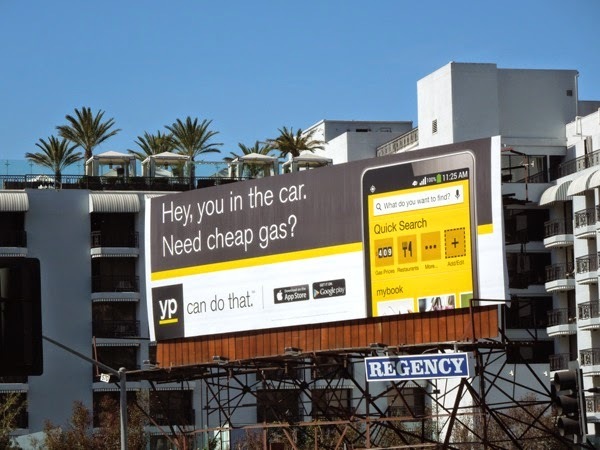 So it's nice to see Yellow Pages, or YP, embrace the smartphone and online generation with their new outdoor ad campaign which has several prominent billboard sites along L.A.'s busy commuter belt of Sunset Strip. 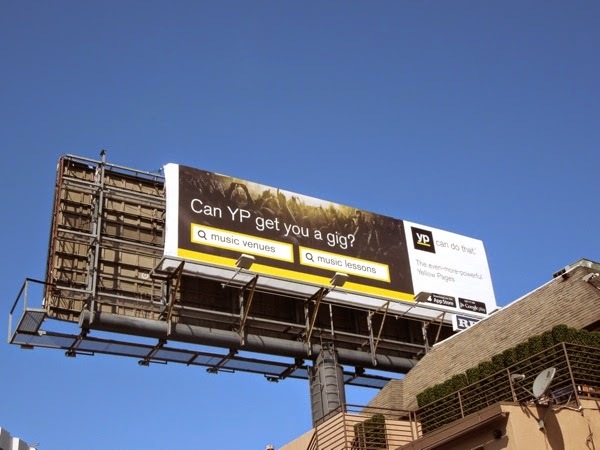 The new YP promises to help you find cheap gas in your area, to aid you in getting those gig tickets or music lessons you want, organize and share the businesses you love and virtually do anything you can think of in L.A. (mighty big claims, hope they can deliver). 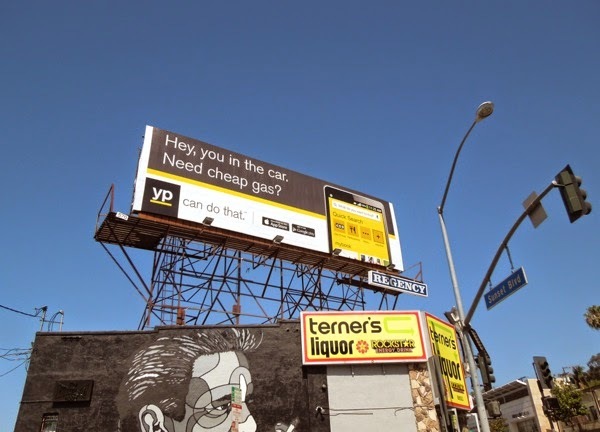 There's even a special extension version to satisfy Daily Billboard's appetite for a good gimmick, to help the advertising stand out more. 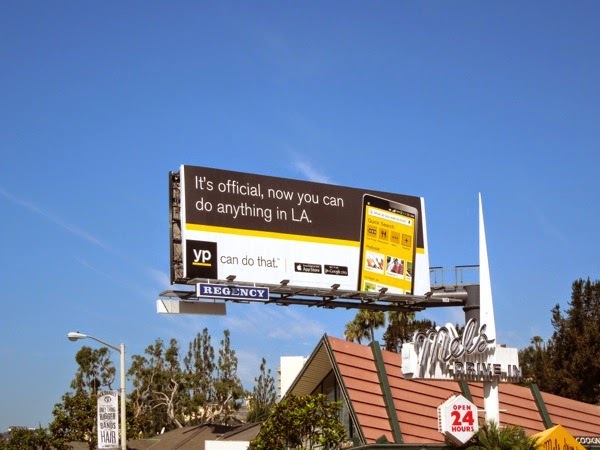 This highly-visible 'YP can do that' billboard campaign, which evokes the brand's heritage with their yellow, black and white design, were snapped in multiple locations along Sunset Boulevard in West Hollywood from May 29 to June 3, 2014. 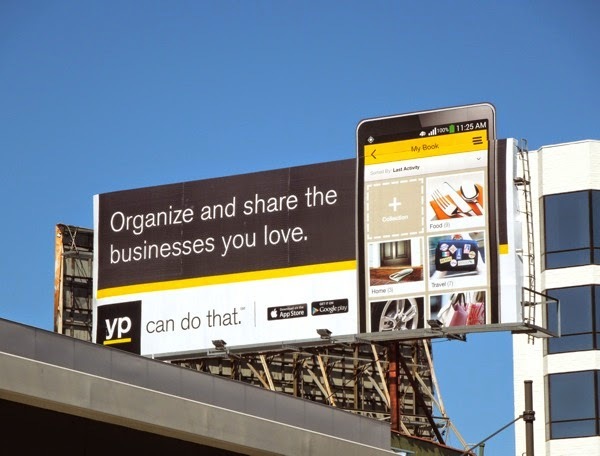 Now let's see if this strategy can help the new Yellow Pages from going the way of the dodo (we'll keep our fingers crossed). 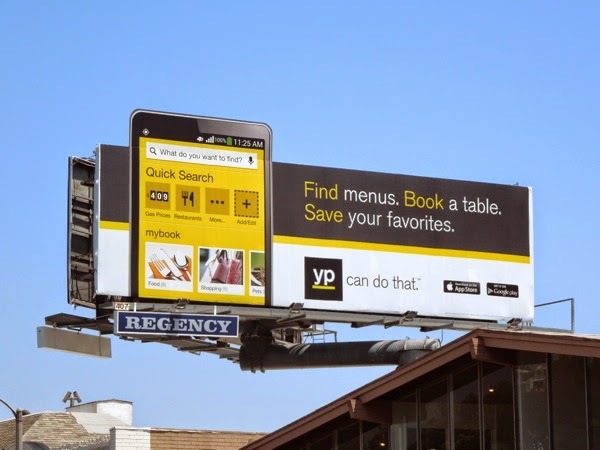 UPDATED: Here's another Yellow Pages special extension billboard, this one with a dining out theme, snapped eastbound along Sunset Boulevard on June 27, 2014. 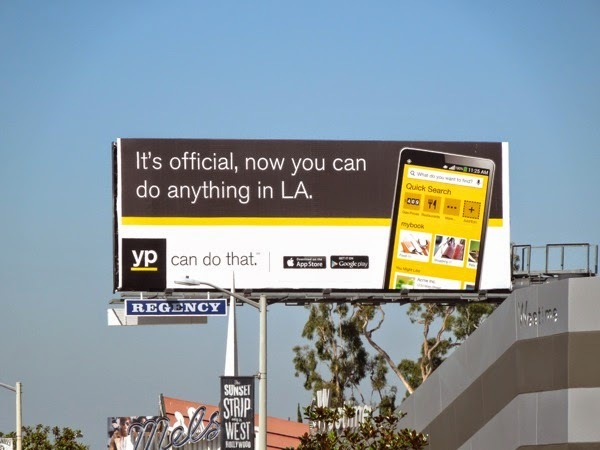 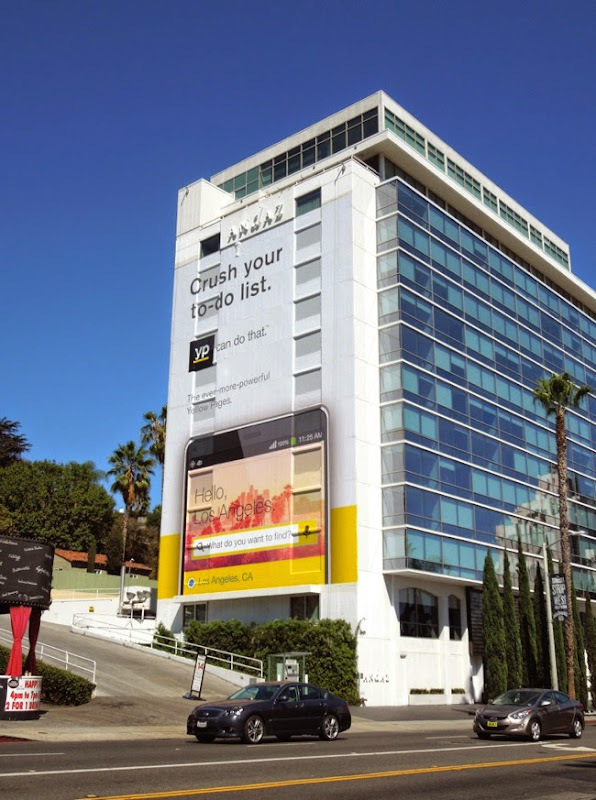 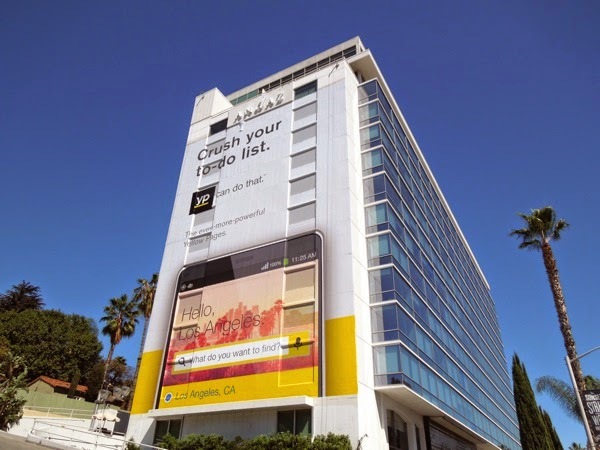 UPDATED: Yellow Pages are back in the skies of L.A. with their 'YP Can do that' ad campaign and this time they've gone super-sized with this giant billboard snapped on the side of the Andaz Hotel in West Hollywood on September 25, 2014. 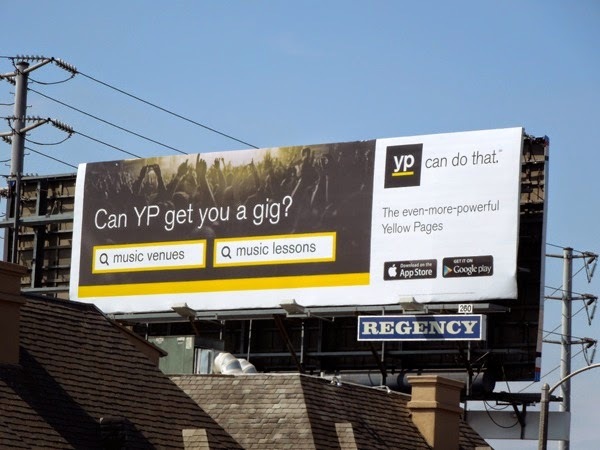 It also looks like they may have lost a bit of the black to reintroduce more yellow to this new design, but it's hard to say on one example and it may simply be a way of keep the outdoor campaign looking fresh.